We have a tendency to do some quick shopping at the local QFC near my wife’s office before we head home. 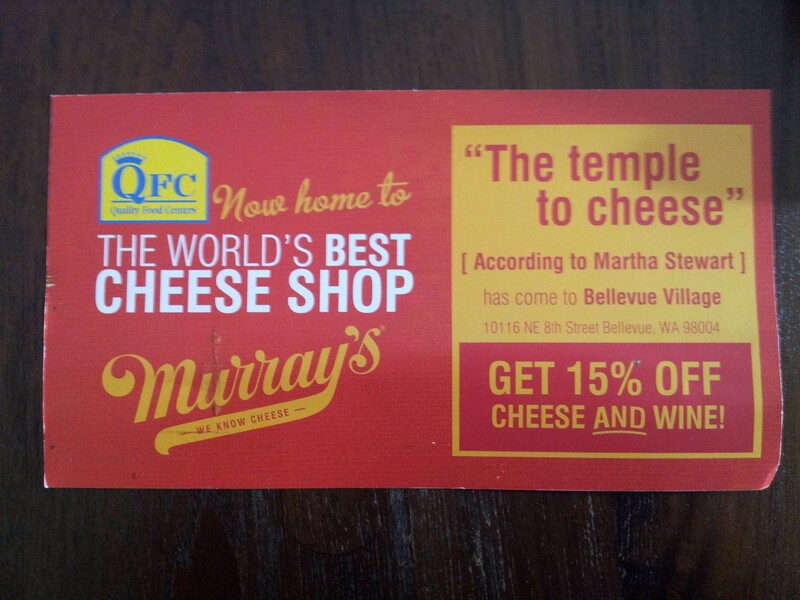 We also shop at the QFC near our home and always use the club card. But these guys are soo good that they recognize @dianego ‘s love for cheesse overcomes the fact that we did not live in the geotargeted area.